August’s epic flooding in Louisiana was our nation’s worst natural disaster since Hurricane Sandy unleashed her devastation on the East Coast in 2012. It came just 11 short years after Hurricane Katrina took the lives of over 1,200 people and destroyed the property of thousands more Louisiana residents. 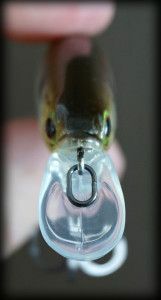 When these disasters strike, the negative impacts to fishing tackle don’t register very high on the overall scale of importance – and rightly so – but as someone who has had the unfortunate task of dealing with a houseful of flooded fishing tackle twice now, I believe my extreme experiences can help other anglers become better prepared to deal with the common problem of wet fishing tackle. Lures get wet. Letting moisture out is more important than stopping it from getting in. Plano’s Hydro-Flow StowAway Utility Boxes have hundreds of small holes that drain water and allow evaporated vapors to escape. Prior to Katrina, I regularly stored most of my tackle, lures, baits, etc. in Plano StowAway Utility Boxes, because they fit almost any soft- or hard-sided tackle storage system. I also used a lot of the gasketed, waterproof StowAways, but I eventually came to understand that I hadn’t been using them correctly. As good as these boxes are at keeping water out, they’re equally good at keeping moisture in. 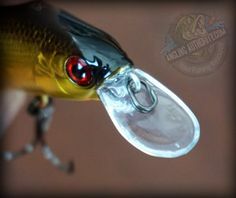 A lot of my lures were getting rusty or funky because I wasn’t drying them out adequately after a fishing trip. I still use some Waterproof StowAways, but am always careful to never close them up and store them with anything damp inside. They work great when such precautions are taken. After Katrina, I started using Plano’s Hydro-Flo StowAways. These boxes are completely covered in hundreds of small ventilation holes. After a few fishing trips, I quickly learned that these Hydro-Flo series boxes will completely drain all water and dry out on their own – whether the moisture came from rain, spray, or simply putting lures away wet. The real test came after the historic flooding last August. When I was able to return home and attend to the mess, the Hydro-Flo boxes had completely drained of all floodwater and the lures inside were already dry. I simply flushed the lures with fresh water right in the Hydro-Flo boxes to remove traces of salt and debris, and then set the boxes in front of blower fans overnight. I returned the next morning to perfectly dry, non-corroded tackle. 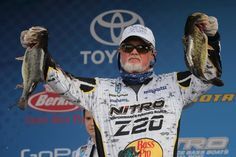 The author’s tackle kept in Plano Hydro-Flo StowAways was already dry when he returned to his home. The lures were rinsed inside the boxes, placed in front of fans, and were dry and corrosion free the next morning. Dealing with flooded fishing reels is kind of like dealing with a flooded lawnmower; the quicker you get the water out the better chance you have to salvage it. 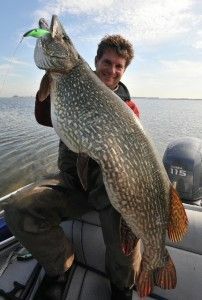 A good quality bait and tackle store can help with this. I took more than a few reels to Gus’ Bait and Tackle in Slidell for a full servicing, and they returned them running like new. If, however, you are short on time because you’re dealing with things like, oh, gutting your house for example, there are some steps you can take to preserve your reels until they can have a full servicing. Follow the author’s tips for restoring soaked fishing reels if you have the time. If not, get them to a full service bait and tackle shop for a servicing as soon as possible. Baitcasting reels are probably the most finicky, so I’ll focus on them. Disassemble both sides of the reel by removing the plate on the brake side of the spool and taking the handle and star drag off to remove the cover plate on the gear drive side. Once you have the reel cover plates off, spray the bearings and gears out with a water-displacing product like Blakemore Real Magic. Let the reel sit for a few minutes to evaporate the cleaner, then spray all the internals, including the bearings, with a really good synthetic thin-film lubricant like Royal Purple’s Maxfilm. Maxfilm is a synthetic penetrating lubricant able to penetrate the smallest tolerances and help prevent rust in all parts of the reel. After a good soaking with the Maxfilm, wipe off any excess and apply some fishing reel grease to the drive gears and level wind gear. Reassemble the reel, making sure to clean off any excess oil or grease from the centrifugal braking surface on the plate that covers the brake side of the spool. Any oil on that surface will impede the brakes from working properly, and you’ll have a tangled mess on your next trip. As I mentioned, the process for addressing soaked spinning reels is largely the same, even though the parts and pieces are a bit different. The most important lessons learned from my own fishing tackle apocalypse? Keep your tackle in ventilated storage systems and store it on the highest shelves you can find. Rods and reels should go up high, too – on horizontal storage racks instead of vertical ones. While most anglers will never have to deal with extreme flooding of their home, some will. 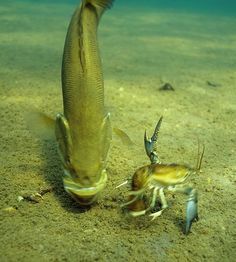 And the rest will certainly be faced with the common, day-to-day causes of soaked tackle like rain and spray. 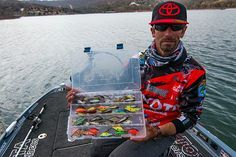 In either case, using Plano’s Hydro-Flo tackle storage systems is the best tip I can give. Chris is a Biologist/ Manager at the Louisiana Department of Wildlife and Fisheries. When he is not at work studying fish, he is also a tournament angler competing in IFA Redfish Tour. Chris' career gives him fantastic insight into the life and biology of fish while his passion for fishing allows him to put into practice his knowledge.